Music has the power to heal the soul, lift the spirits and even take us back in time. Now psychologists have found it can also help people battling Alzheimer’s – and those closest to them. A study found that singing in a choir together ‘breathed oxygen back into the relationship’ between Alzheimer’s patients and their partners. It allowed them to take part in an activity as equals, increasing the sense of togetherness often lost when one partner has to care for the other. Singing also boosted Alzheimer’s patients’ confidence levels and ‘gave them an identity beyond their diagnosis’. The 17 couples interviewed in the study said the ‘pleasure of singing’ was another benefit, as well as a wider social life. Partners who were their loved one’s main carer also reported a sense of liberation and temporary release from their responsibilities. Researchers found that the strongest benefits resulted when the couples were learning or performing new material, rather than just singing songs they already knew. Speaking to the British Psychological Society in London, they said the discovery could have a huge impact on therapy techniques used in dementia care, which are often based on reminiscing instead of trying to remember something new. Lead author Shreena Unadkat, from the Salomons Centre for Applied Psychology at Canterbury Christ Church University, said: ‘Singing groups can provide couples with an opportunity to take part in an activity on an equal basis; something which can be difficult when one partner is the lead carer in outside life. Previous research has found people are able to sing their favourite songs even when other memories are difficult to recall. Experts believe musical aptitude and appreciation are often the last remaining abilities in patients with Alzheimer’s. Songs from their formative adult years have proven particularly helpful for dementia patients to sing. 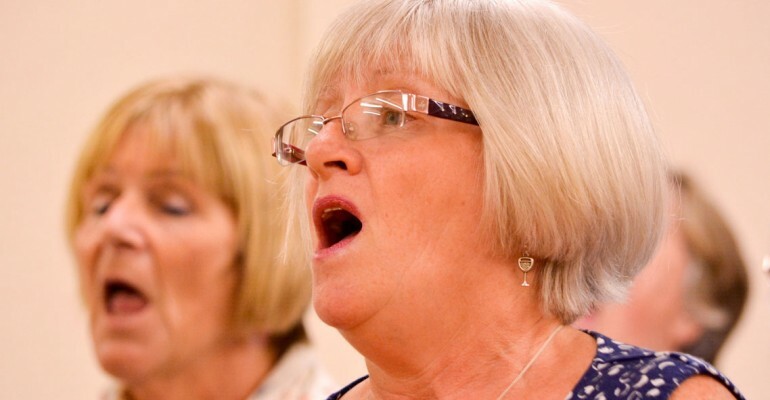 In recent years many groups have promoted singing among those living in care homes, including Singing for the Brain, Music for Life and Lost Chord.